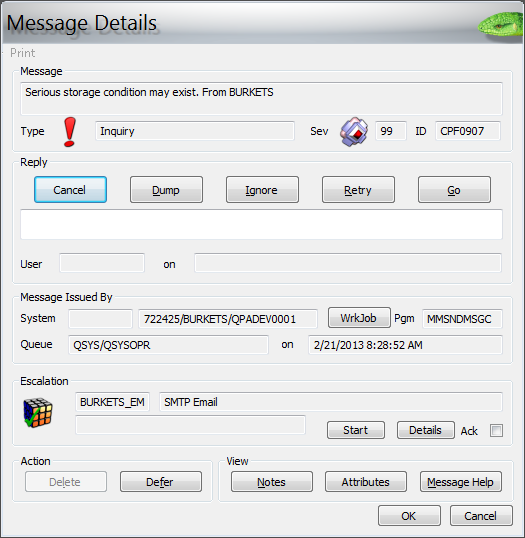 The pager format functionality can be used to amend the layout of messages or the subject line of escalated items. 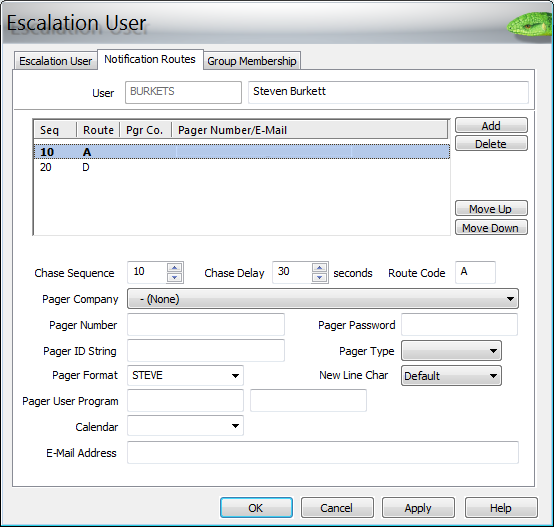 The following sections outline a simple escalation configuration to show how the pager format can be incorporated. 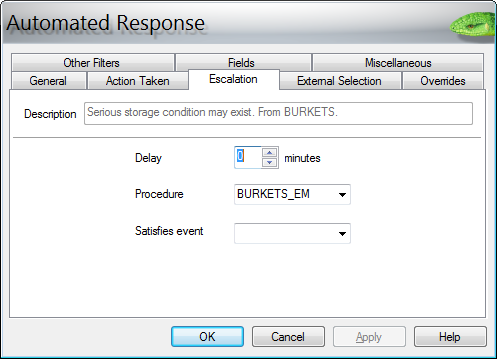 Details of the variables that can be used are included at the end. 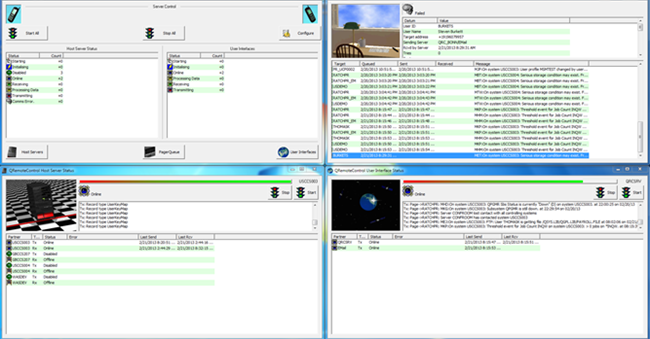 This Pager Format name contains four variables to provide the system name, the message text, the message time, and the message date. The message was issued at &MTIME on &MDATE. 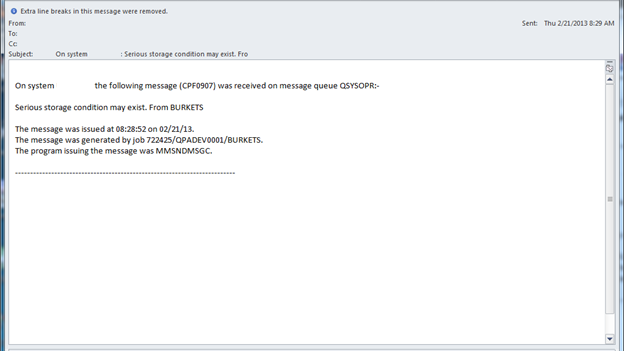 The message was generated by job &JNBR/&JOBN/&USER. The program issuing the message was &SPGM. 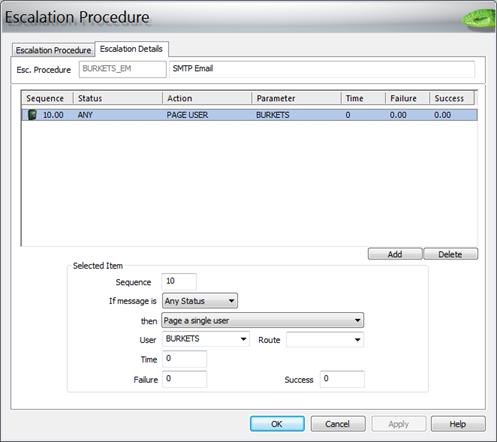 The pager message will be formatted according to the entry made in this field. The variables in the following table are valid within this command. 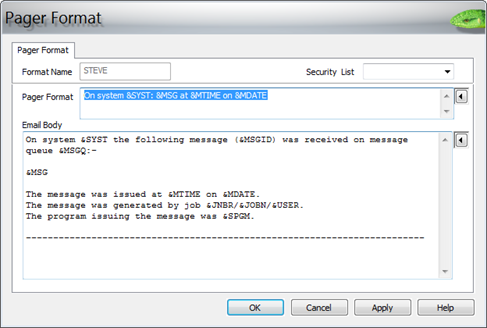 In addition, you can specify &Vn or &Qn where "n" is a message variable from the message description. The %SST built-in-function is also supported for &MSGDTA, &V1-26, and &Q1-26. For example, %SST(&MSGDTA 11 10) would pick out a substring from the message data.